Most of us don’t think about auto body repair until we have an accident, and this places us in a situation where we have to make a major decision without a good knowledge base. By asking these questions, you’ll have a better picture of what to expect when you bring your car in for collision repair. There are three certifications you’ll come across when looking at body shops. ASE certification: The National Institute of Automotive Service Excellence issues certifications to technicians based on their experience and performance on standardized tests for all types of automotive repair. Certifications related to body repair include Paint & Refinishing, Non-structural Damage Repair, Structural Damage Repair, Mechanical & Electrical Components, and Damage Analysis & Estimates. I-CAR Gold Class: The Inter-Industry Conference on Auto Collision Repair is an organization that works together with car manufacturers, aftermarket part manufacturers, tool manufacturers, educational institutions and insurance companies. I-CAR Gold Class shops are part of a program in which technicians are constantly receiving new training in repair techniques, so they keep up with advances in the industry. Manufacturer certification: To get this certification, the shop has to be sponsored by a local dealer. That means only one shop in the area will be certified, even if there are several shops that have the training and equipment to make the repairs. Have You Worked on This Type of Car Before? While most vehicles have similar repair needs, special skills and equipment may be needed for classic cars as well as modern cars that use aluminum or carbon fiber. If the shop has an appraiser on staff, they can work with the insurance company to get work approved. This saves time throughout the process so you can get your car back sooner. Even the best shop can make mistakes, so it pays to have some protection in place. Be sure to find out how they deal with correcting issues caused by their work. Do you have a Loaner Vehicle or Offer Car Rentals? Just because your car is in the shop doesn’t mean you can stop going to work, picking up your kids from school or running errands. Find out ahead of time if there’s a way for you to get a vehicle from the shop, or if you’ll need to make other arrangements to get around while you wait for your car to be fixed. It’s impossible to gauge the total amount of repairs that will be needed during the first inspection because there is usually some damage lurking beneath damaged body panels. However, the shop should have a good idea of how long it will take so long as there are no major surprises. Once your car is in the shop, work will start with “blueprinting” the vehicle. 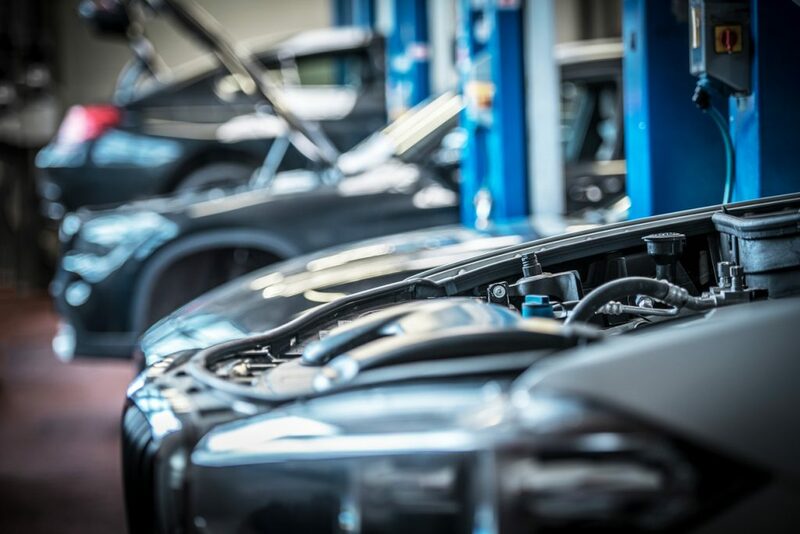 In this process, damaged parts are removed to give the vehicle a thorough inspection so that parts can be ordered, and a plan laid out for the repair process. Most hidden damage is found at this point, so you’ll have an accurate time estimate early on. Another good way to estimate the time it will take for a repair is the shop’s “keys to keys” average. This is an average repair cycle time across all of their work, from small jobs to major repairs. The shorter this average is, the less time the shop will take for a given repair. Is the Car Insured While in Their Care? Your auto insurance will not cover damage while your vehicle is in the shop. Some shops may offer no guarantee against damage while your vehicle is in their care, while others will have fire and theft insurance to protect your car while it’s stored and repaired. How Do I Take Care of My New Paint? Depending on the paint process, the paint may not fully harden until weeks or months after the car leaves the shop. The shop may suggest avoiding friction brushing for a certain period. This wash method involves physical contact between your car and a wash mitt, cloth brushes or high-pressure water. However, touch-free car washes are usually fine to use during this curing period. Even with insurance coverage, repairs can be pricey. Know ahead of time how you need to pay for your part of the bill, whether you just have to cover a deductible or are paying in full. Some shops offer financing that will let you make payments on costly repairs. Merton Auto Body has everything you’re looking for in a quality collision repair shop. We’re an I-CAR Gold Class shop with ASE-certified technicians, we have a short keys-to-keys time, and we offer a lifetime guarantee on all of our work. If you live in Lake Country, we’re just a short drive away, whether you’re in Pewaukee, Harland, Lisbon or Oconomowoc.